Children are the future, and doing your bit for the environment entails educating the young ones in your life about the importance of preservation. 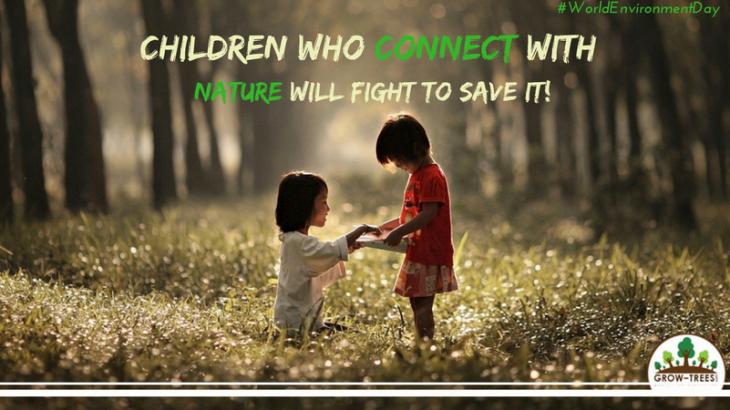 While growing up, if children are exposed early to a pro-conservation attitude they are bound to practice and integrate such practices and principles as adults, effortlessly. They will make eco-conscious decisions based on instinct rather than as a result of being constantly reminded or reprimanded. Read on, to explore a few ways to incorporate lessons on responsible and green living into activities that can be enjoyed by children! Kitchen gardening or terrace gardening is fast gaining popularity in cities where open space is a scarcity. Balconies and unused patches in building compounds can also be used to grow vegetables and herbs that work on two levels of utility— 1) that if pursued on a large scale, trees and plants have a cooling effect on the atmosphere and 2) that the fresh produce can be used for individual or communal consumption. 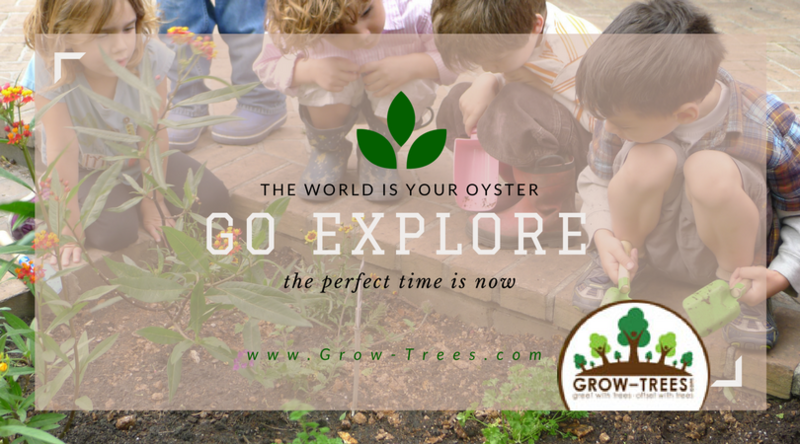 Engaging children in simple forms of gardening such as planting saplings, watering the plants, etc. inculcates a sense of intimacy with their immediate environment and the food they eat. It also has the long-term effect of making them feel responsible for the planet as they can experience first-hand the benefits that the earth provides in the form of food. Tomatoes, chillies, lime and okra can be easily grown in a terrace garden in tropical climates. Mango trees and coconut trees can also be grown in parks and compounds of apartment buildings. Though they require careful tending to, the impact of these trees on the environment and human life is immense. The beauty of the medium of film is that if made well, it can draw in any kind of audience notwithstanding age, language or taste. Children respond well to visual stimulation, and the internet is teeming with documentaries on nature and wildlife by talented filmmakers and activists. Mission Blue (2014) is based on the work of Dr Sylvia Earle as a marine biologist, oceanographer and environmentalist and captures stunning stories of marine life, laying great emphasis on their conservation. Another film focusing on the man and the environment called No Impact Man (2009) follows the life of Colin Beavan, who in a bid to reduce the environmental impact of his actions, turned to a “green” life-giving up modern conveniences such as electricity, gas-powered transportation etc. Home (2009) by Yann Arthus-Bertrand is a tapestry of aerial footage from 50 countries across the globe woven together to address the human impact on the planet’s ecology. This year’s theme for World Environment Day focuses on connecting with nature. What better way to give impetus to this thought, than by planning camping or hiking trips on the outskirts of your city to allow children to enjoy clean air, open skies, huge expanses of land with trees and free flowing water. These experiences make us value the beauty, utility and the downright therapeutic value of our natural environment in a way that reading or listening to it can’t. Planning a vacation in a National Park or a region rich in biodiversity instills an awareness about the importance of conservation and coexistence with wildlife. All these lessons are left out of school curriculums but are essential to live a full and meaningful life. Grow-Trees.com is an online platform that enables individuals and corporates to greet with trees, a novel concept where to commemorate special occasions you can plant trees on behalf of friends, family or employees, and they will receive an eTreeCertificate to document this beautiful gesture. Grow-Trees.com plants trees only on public lands in rural parts of India so that the planting of trees supports rural livelihoods along with improving the environment. Each tree you plant can be tracked online through Google Maps, with a unique certificate number shared with the customer and the recipient of the eTreeCertificate. World Environment Day amazing, Carbon, Carbon Footprints, dandelion, earth, environment, growtrees, instanaturelover, landscape, nature, naturelovers, pench tiger reserve, tree_enthusiast, tree_love, tree_perfection, treeframing, treehugger, treelove, treelover. permalink. World Environment Day, 2017– A month of synergy and celebration.